It seems that the well-known Chinese smartphone manufacturer Huawei wants to follow closely the competition, hence, the well-known Chinese smartphone manufacturer Huawei is preparing a new plus version of the Huawei P20, which will be known as Huawei P20 Plus and may bring some extraordinary surprises. It seems that Huawei wants to follow closely the competition, hence, the well-known Chinese smartphone manufacturer Huawei is already prepared the new Huawei P20 which may bring some surprises. According to some renders posted on Twitter by Steve H, Huawei’s new top-tier might bring too many similarities to the iPhone X.
Huawei has in recent years made a strong investment in the evolution of their smartphones to compete with their most direct competitors. Photography has been one of the most prominent elements, but fast loading, SoC and system optimization have been other highlights. After introducing us to Huawei Mate 10 Pro and its new SoC Kirin 970, which bases much of its work on artificial intelligence, now Huawei is already preparing to launch a new top of the range. The Huawei P20 which is expected to arrive on March 27 in Paris and should bring several new features. If so far several new features have arisen about the look and the new features of this new top of the range, a new publication now shows us the possible aspect of this new smartphone. 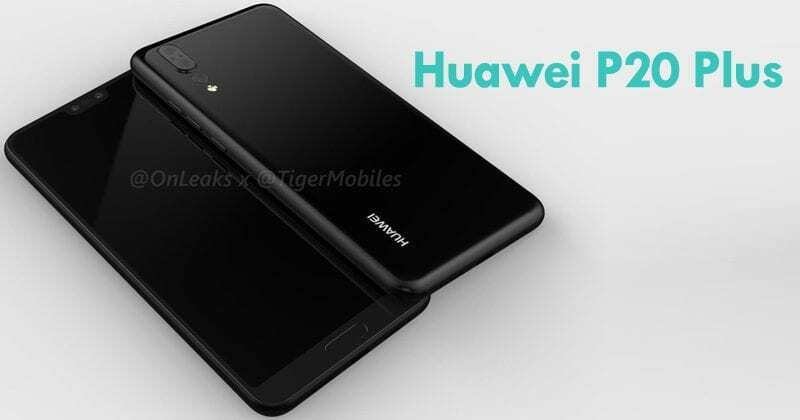 At the hands of Steve H, responsible for the well-known Twitter @OnLeaks account, some renders in pictures and video have now been published that show us very realistically look of the new Huawei P20 Plus. Looking at the shared images, there are three elements that can be seen. First, the screen features a cut like the iPhone X, although smaller, where the Huawei 3D facial recognition system should be located. Then we find a three-chamber system at the rear, where two are joined and the third is slightly separated. Finally, the fingerprint sensor is missing. In addition, we find a smartphone with infinite screen, USB connector Type-C, without a 3.5mm jack and a construction in glass and metal. In addition to the Plus version of Huawei P20, the base version was also entitled to receive some images of what is expected to be the new model. This version is very similar to the Pro model, although a home button is added under the screen, in the style of what has already been presented in Honor V10, which should keep in mind the fingerprint sensor. Besides, it keeps the look and news of its brother. At the level of appearance, if these renders are confirmed, the Chinese smartphone manufacturer Huawei may present a model very similar to the iPhone X, which in addition to the aspect will also share some of the key decisions most criticized in the new iPhone.